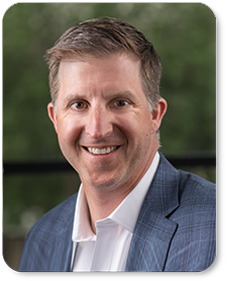 Ted Kinsman is a Managing Director in Capstone Headwaters’ Energy & Power Group, focusing on Energy Services, including oilfield, downstream, and power gen products and services businesses. Ted brings over 15 years of experience in finance and investment banking within the energy sector, and throughout his career has closed transactions totaling over $1 billion on both the buy-side and sell-side. Prior to joining Headwaters MB (now Capstone Headwaters), Ted spent several years at The Broe Group as a member of its Strategic Capital Group and Broe’s private investment division where he focused on the acquisition of energy and natural resources assets. He joined Headwaters MB in 2005 and helped establish Headwaters’ Energy and Natural Resources Group. In that capacity, Ted has obtained extensive deal experience across the energy sector, including transactions in the upstream and downstream oil & gas sector, as well as the power generation and cleantech arenas. The Capstone Headwaters Energy & Natural Resources Group offers a wide array of services, including M&A, capital formations, project finance, and tax equity transactions and strategic alternative analyses.